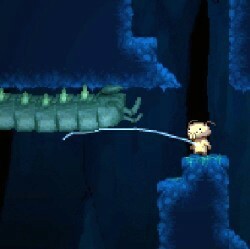 Follow the green creature down through 10 caves and use your superior intelligence and dexterity to guide him. 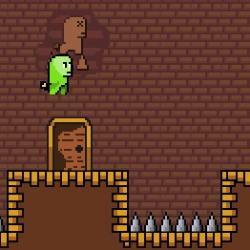 Get the fruit, consume it, and unlock the door to the next and more dangerous level of the dungeon. 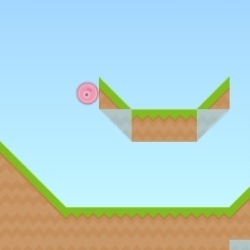 Move and jump using the ARROW keys, and press Z to enter doors and to toggle walls. 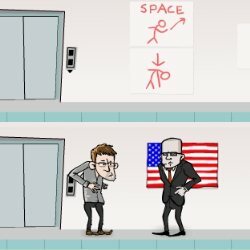 Move and jump using the WASD keys, and press L to enter doors and to toggle walls. Press P to pause and SPACE BAR to resume. Click here to send Greenie to your friends using your default email program.